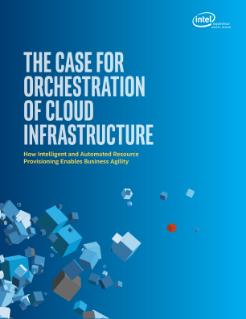 Cloud Orchestration is the dynamic automation of cloud infrastructure, offering a way for the data center to gain the flexibility and efficiency it needs to support enterprise agility and innovation. Orchestration also is a major evolutionary leap forward in performance and capabilities for data centers moving to software-defined infrastructure (SDI)—an excellent bet for realizing the full promise... of highly efficient, flexible, and scalable on-premises, private cloud infrastructure. Orchestration manages across different systems. This brief describes how to approach implementing SDI-enabled cloud orchestration in your data center and includes a checklist to help get you started.